Our talented in-house team of party decorators will make sure your celebration is a unique and personalized experience to be remembered. Our occasion-centric party decorations are designed to bring out the mood you envision and create eye-catching photo opportunities for you and your guests. Hosting a party and searching for party decorations to complete the look? Party decoration is a must-have to set a festive and celebratory atmosphere! Whether you are planning a kids birthday party, baby shower, wedding, family day, graduation, D&D or corporate event, our party decorations help you set the mood perfectly, creating captivating and interactive photo opportunities for all your guests. 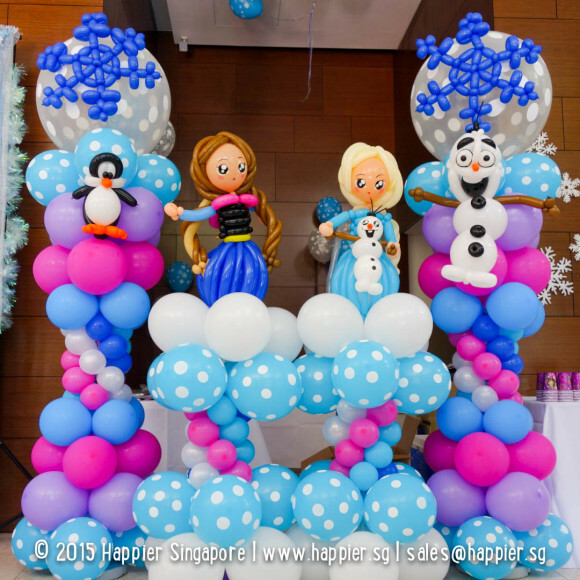 Here at Happier Singapore, our talented party decorators specialize in hand crafting on-trend party decor designed to your theme and occasion. We offer you endless ways to style your party ambience for the most memorable celebration with balloons, confetti, flowers and modern calligraphy. Our professional in-house party decorator and styling services revolve around balloon decoration as a key medium to bring your party to life. Our friendly party decoration planners take the time to understand your unique story to bring together a cohesive theme for your entire party venue. Leave the hassles of the setting up & tearing down of the party decor to us. Just spend your time enjoying the moment with your family and friends! Be it a fun-filled family carnival, elegant wedding, exciting kids birthday party, or even a slightly more formal awards ceremony, our party decorations can be customised to perfectly adorn each and every type of event. 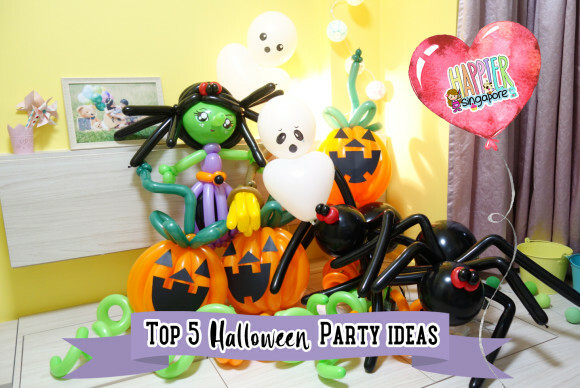 Our unique party decorations can set the mood and tone for any day or festivity. In Singapore where we are a melting pot of different cultures, our creative party decorators strive to embody the spirit of iconic celebrations like Chinese New Year, Easter, Hari Raya, Mid-Autumn Festival, Deepavali, Halloween, Christmas too! Decorating your party with balloons unleashes a creative wonderland of ways to bring out the fun factor at your special occasion. Plus your decorative balloons can also be given away as party favours at the end of the day. Nothing goes to waste and its a great way to celebrate working towards a more environmentally conscious Singapore. Tell us what you envision for your dream party, and trust us to dress your party to the nines. Our team of party decorators is highly sought for our expertise in one-of-a-kind party decorations delivered with a personal touch. 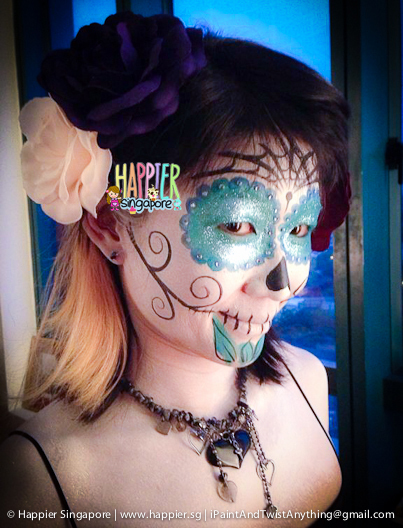 If you are working with Happier Singapore, you will notice our dedication in ensuring your happiness and enjoyment of your party comes first. From start to finish, we will do everything in our power to set up the best party decoration for your celebration. Pulling a party together is a collaboration between you and our team. You will take the lead on the initial ideas, we will build on them and craft out the best party decorations you can find in Singapore. Even if it is your first time hosting a party, we will make you look like an expert in no time!